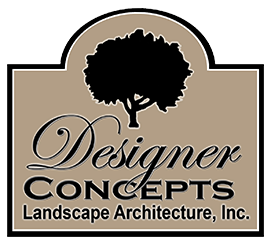 At Designer Concepts Landscape Architecture, we strive to give you a fantastic experience through personal, one-on-one meetings, listening to your needs, and discussing ideas to beautify and maximize your outdoor spaces. Director of First Impressions, JoLynn. Before the project begins, Ryan will introduce Owner and Project Manager Corey Koch. Once the work is done, Corey will walk you through your new landscape. Designer Concepts is a professional organization that is evident from the time you set up an appointment. Ryan’s design was spot on—we made no changes to his initial design. With a record-setting rainfall in June that pushed back our project to the fall, the team communicated with us to let us know when we could expect it to begin. The installation team worked hard each day and completed the project two days sooner than the projected timeline. They were prompt and very respectful of our property, sweeping the street and our driveway when necessary at the end of each day. When Corey recommended the shed be stabilized, he was able to do the work for much less than what he originally estimated, for which we were thankful because we had not planned on the additional cost.